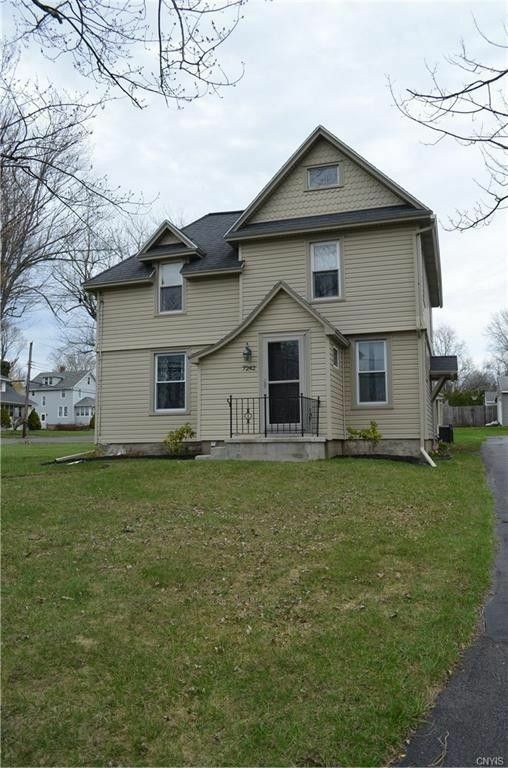 Beautiful Town of Owasco 3 bedroom colonial is "move in ready"! This home has a spacious foyer, large double living room, dining room, family room and a large eat in kitchen. Gleaming hardwood floors, beautiful tile, all new carpeting in the upstairs - this home is a must see! With a large corner lot, central air, forced air gas furnace, 1 car detached garage, patio - the owners have meticulously renovated this 2 story home. Come see this home today. Directions: Heading south on Owasco Rd (38a) the home is on the corner of 4th ave and Owasco Rd.